You can also monitor user logins, suspicious activity on your server, and the status of your services and daemons. Depending on the software that you use, there could be any number of the aforementioned protocols within the monitoring application, depending on what the application monitors, and what environment it runs in. 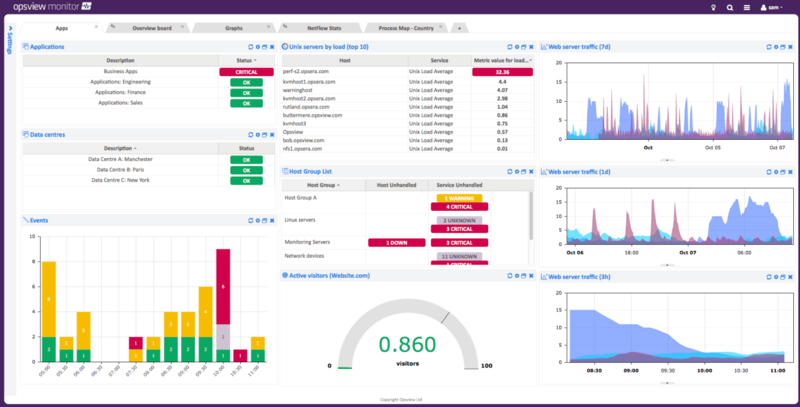 We will now take a brief look at 10 of the most popular server monitoring tools that are currently available, including free, paid, and open source tools and software. Each has its own approach to solving the problem of trying to help monitor your system, and as such, some will be more suited to specific tasks than to others. This can be a little confusing, so we will do our best to help you to understand which program could work best for your needs. 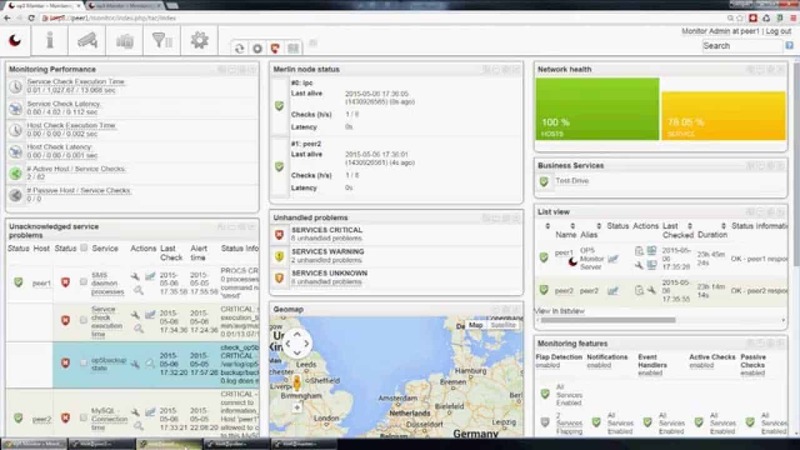 Solarwinds SAM (Server & Application Monitor) is a fully functional server monitoring application that is just as at home on your local area network as it is in the cloud. The application allows system admins to monitor key services and applications that run on both Windows and Linux Servers, so that issues such as hard disk space, memory utilization and other key performance indicators can be monitored in real time. Solarwind’s usual Microsoft application support is there, and also gives users the power to monitor Hyper-Visor stats, cloud and SaaS products too. Azure and AWS are supported, and can also be monitored remotely, allowing your admins to give proper reports with all of the necessary information. 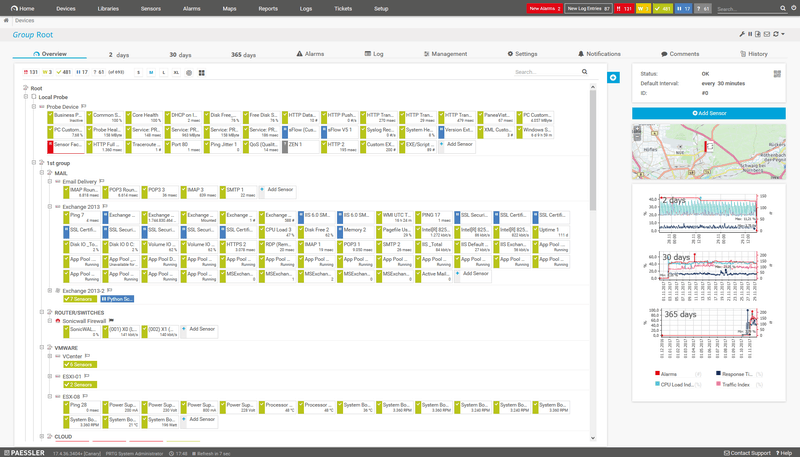 Unified dashboards provide a wealth of information for staff that need to monitor critical cloud resource allocations. The name of the game here is proactivity. Pre-emptively fixing issues on your network and servers is a far better solution than repairing faults when they become a problem. 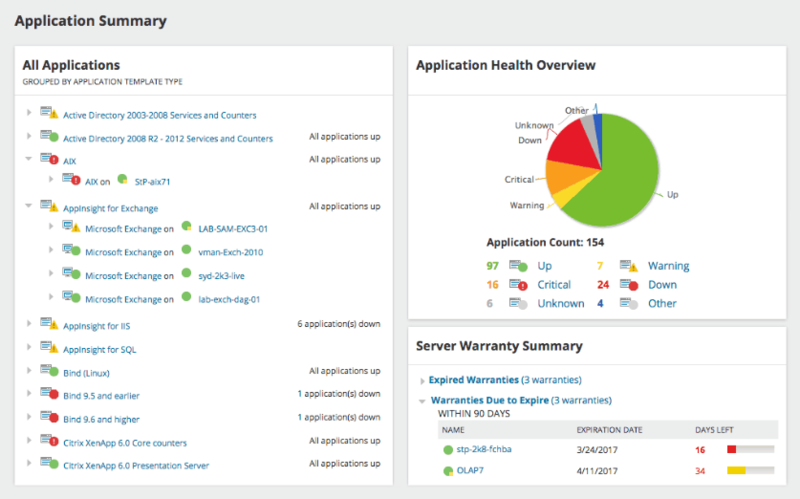 Solarwinds provides all of the tools and notification facilities to help manage your server resources in real time. 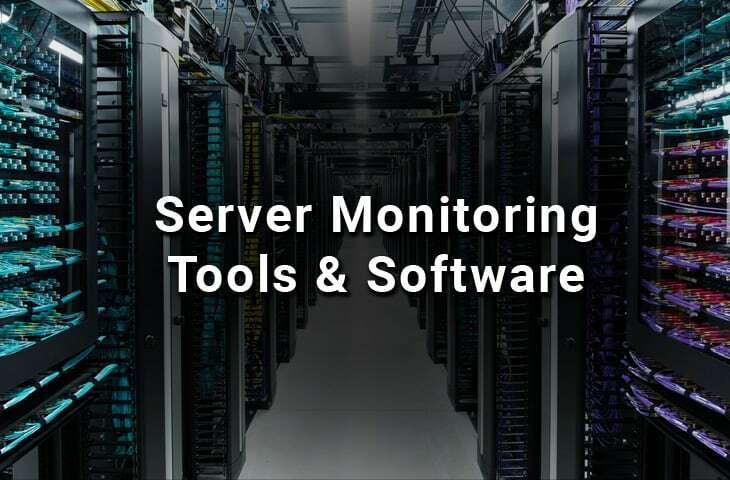 Server Monitoring Tool is an application that runs from a single source on your network, meaning that you don’t have to install an end point agent onto the servers that you wish to monitor. This is great news if you monitor many different servers in your operating environment. 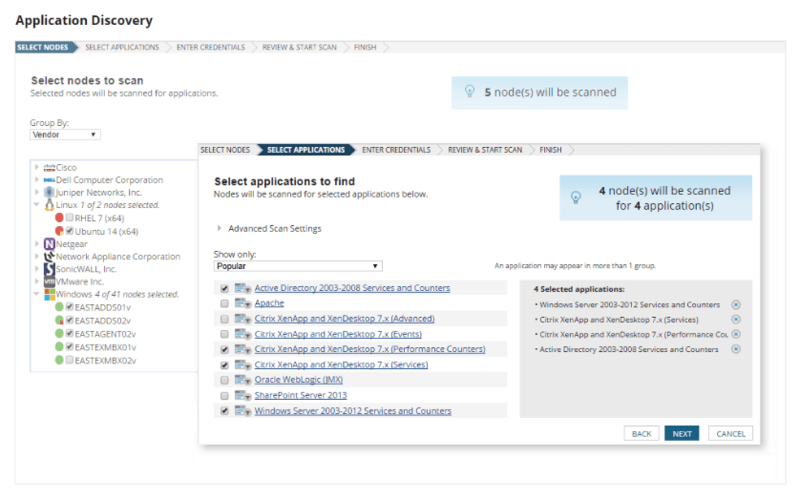 The Applications Manager enables system administrators to take a proactive approach to monitoring physical, virtual, and cloud environments, all from a single point. 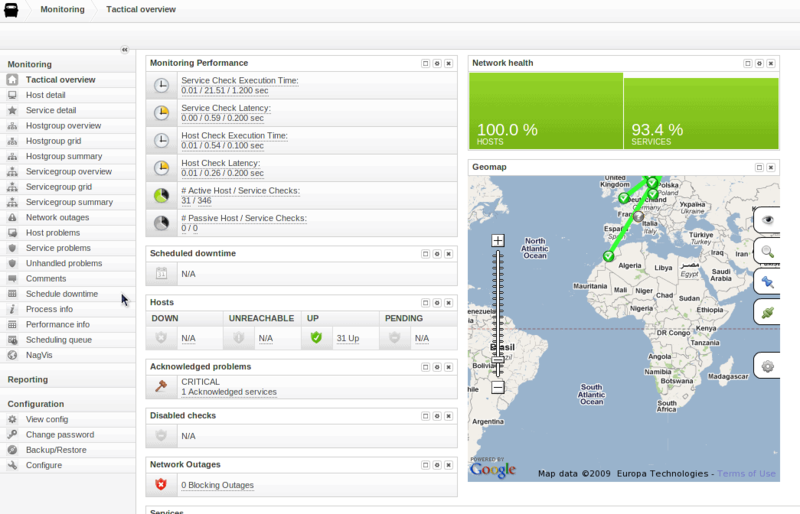 From this single location, users are able to check uptime reports, system availability, and much more. Applications can be monitored individually, or entire servers. This is especially useful for web servers and other high availability machines that cannot afford any downtime. Automated notifcations can be setup to inform your IT team of any problems that arise. 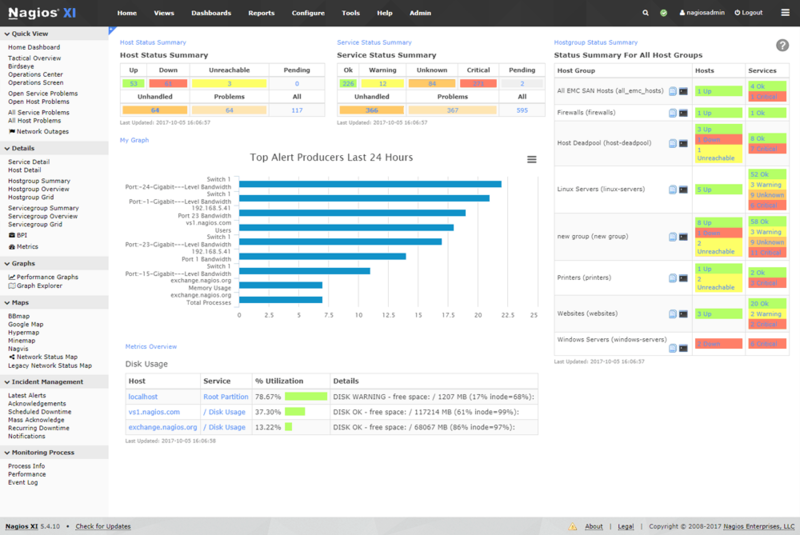 This is an excellent application and web-server monitoring tool, and will allow your team to quickly identify any issues that come up within your environment. For large environments the trending and graph services are a great help and will increase issue visability on your network. PRTG is an integrated solution that is suitable for small environments, right up to large data centers and server farms. The installation footprint is dynamic, meaning that your monitoring capabilities can grow or shrink with the business requirements of your organization. PRTG is more than just a server monitor, as it can monitor any IT related resource that connects to your network. 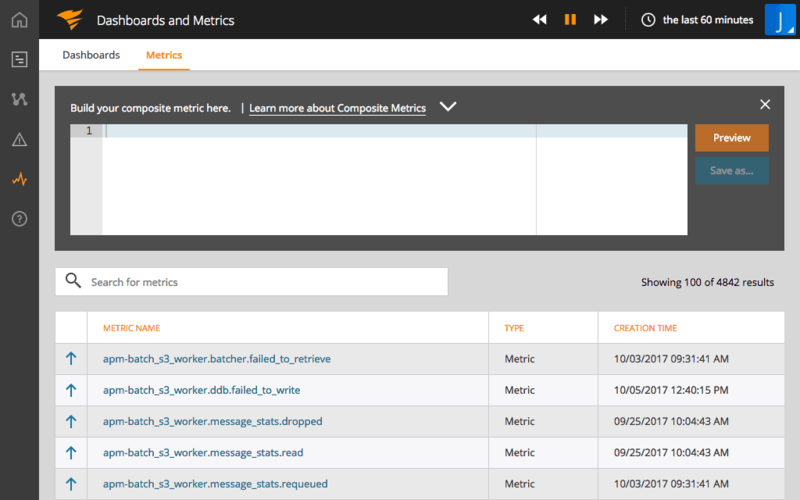 On the server front, PRTG is able to send out email and SMS alerts, based on your own customized threshold levels. This means that you can adjust the sensitivity of specific servers, allowing for more frequent warnings to come from critical servers, instead of all of them. The application is able to monitor everything that you need to know about your server such as: CPU load, Hard Disk Capacity and performance, RAM utilization, and much more. Administrators are able to view the entire server environment at a glance, thanks to customizable dashboards and reports, which means that specific graphs and analytics can be generated for specific needs. There are predefined vendor templates for big names in the server and enterprise space, such as HP, Dell, Cisco and IBM. Nagios XI is a comprehensive IT infrastructure monitoring application that provides information about all mission critical aspects of your environment. This includes: servers, networking components, services, networking appliances and protocols, and much more. There are hundreds of third party plugins that add extra functionality to the solution, making it easy to get setup and monitoring the equipment within your environment in no time. Nagios Core 4 provides the backbone of this application, and offers high performance with lower system resource overheads. The web interface is easy to setup and to use, and the solution is scalable across all network sizes, from small to large. Individual server components can also be monitored, allowing your system admins to keep all of your most critical servers up and running with no problems. Nagios is able to monitor everything on your network, from hardware components, to software and application issues, on both physical and virtual servers. It is customizable and can be tweaked to suit your particular requirements. Opsview is a multiplatform monitoring service that runs on Windows, Linux and Unix. It does this by combining virtualization, network, and enterprise application monitoring tools all in one unique monitoring package. 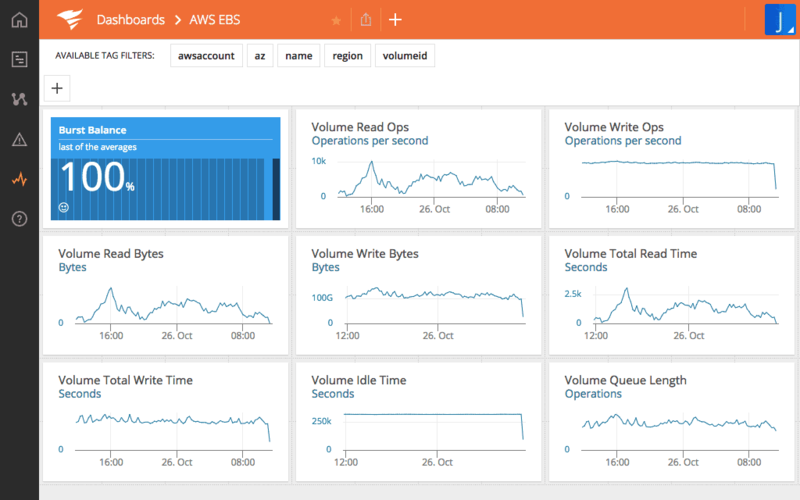 Real-time analytics gives you the power to detect and mitigate any potential server failures, thanks to the abundance of system related information that Opsview is able to gather and sort. Groups of servers can be managed according to business importance, so that if a particular system goes down, its overall business impact can be seen at a glance. The main feature that makes Opsview so usable is the timeline customization that is possible with its historical graphs feature. If you have been having issues for a specific period of time, highlighting that time period will produce a clear information set that is full of vital information, which will help your team to find what the cause, and possible solutions to the issue could be. Opsview offers a user-friendly interface that is easy to navigate and customize, and the new menu layout has made it even more intuitive. Monitoring server specific issues is very easy, and there is also support for over 3500 Nagios plugins, making your monitoring setup that much more customizable. This is an excellent solution for server monitoring, be they physical, virtual, or hosted in the cloud. Price: Starts at $ 2.00 USD per host per month. Zenoss seeks to reduce costs and IT complexity by creating a visual representation of your overall server performance and availability as part of an end-to-end IT service model. What this means is that Zenoss takes stats from all of your servers within your environment, and creates and overall, unified performance and utilization data source for analysis. 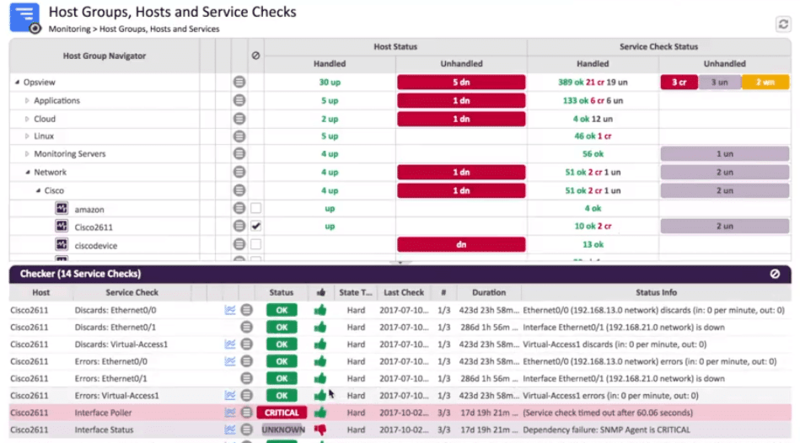 This gives you a clear understanding of what is happening across your network, and how your servers are performing. Physical, virtual and cloud servers can all be monitored from within the application’s GUI, providing a clear and widespread snapshot of what is happening on your network at all times. Zenoss is available in different versions, from open source to enterprise, and each has their own specific features and limitations that may or may not work in your environment. Zenoss is also able to make use of the Nagios plugin framework, which gives your system even more functionality. For environments that have WAN links and remote offices, there is even a visualization and mapping tool that lets you map out your communications links. This is particularly useful for when a remote server fails, but you are unable to determine if the cause is network related, or server related. OP5 is a Swedish IT company with a global presence, and their monitoring software is built on top of an open source platform. Although OP5 is a great server monitoring tool, it also offers application and network monitoring as well. All of this information is displayed on a customizable unified dashboard, giving you and your team all of the information that they could need, right at their fingertips. OP5 increases their overall appeal by providing Nagios plugin support for most open source plugins, which is great for specific requirements that you may have on your network. The range of details that can be monitored are varied, and in some cases you might find that there is a wealth of information that your network is generating, ideal for monitoring and graphing! 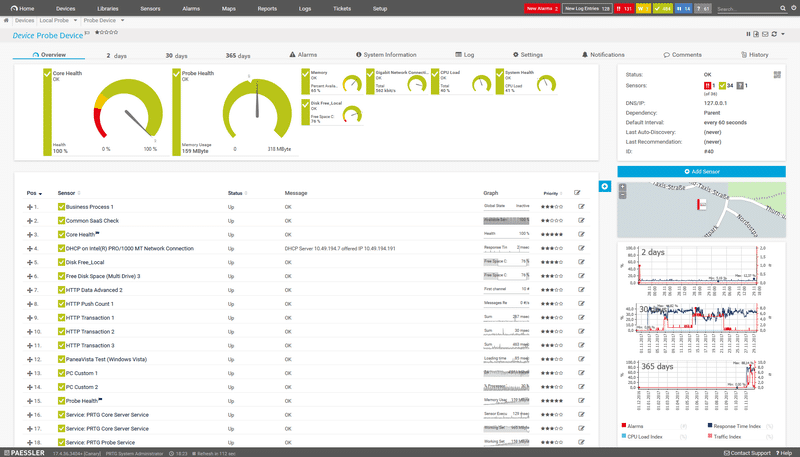 You are able to monitor individual server components, right up to global communications links, giving you a micro and macro view of your IT environment from a single application. OP5’s pricing structure is based on a ‘per device’ type of structure, so you will have to contact them to get an accurate quotation for your specific needs. 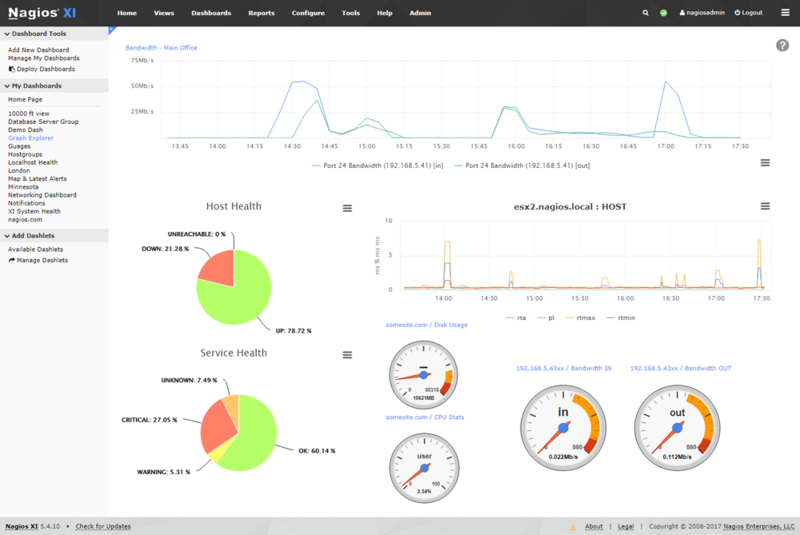 Overall, this is another great server monitoring platform that does more than just look at individual servers. 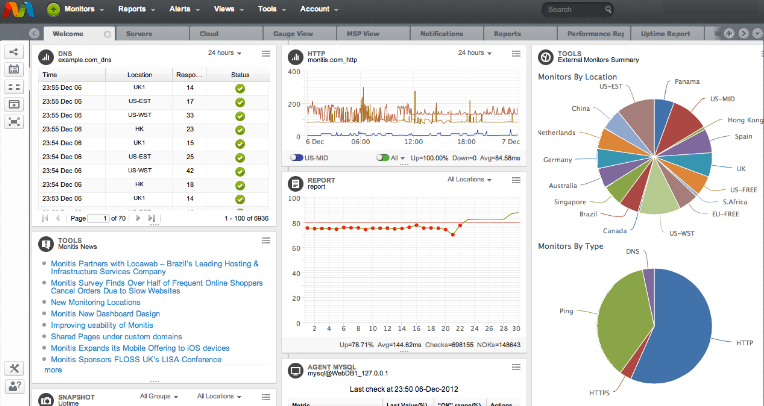 Solarwinds are well known for their monitoring products, and Appoptics is another fine example. The application is focused primarily on server and infrastructure monitoring, but also has application performance management and custom metrics and analytics features. This creates an all-round monitoring solution for your servers, and will give you an excellent indication as to what exactly is happening within your environment at any given time. 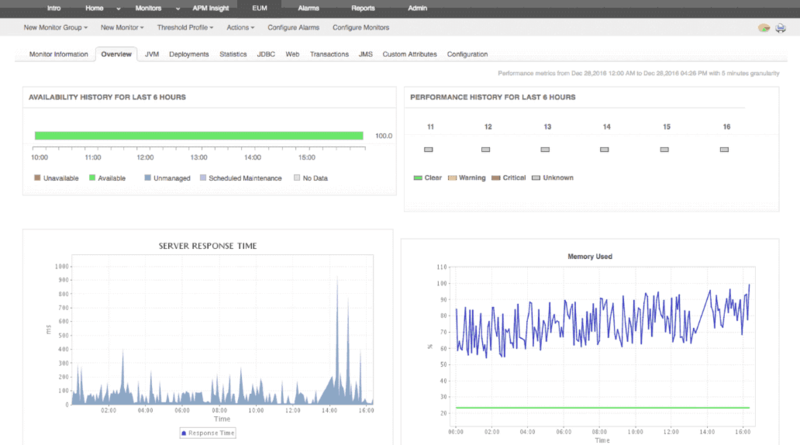 This information can then be extrapolated into usable graphs and dashboards, allowing you to see a visual representation of your server performance. Appoptics also provides many different application integrations for all of the most popular platforms, such as AWS, Apache, docker, and more. 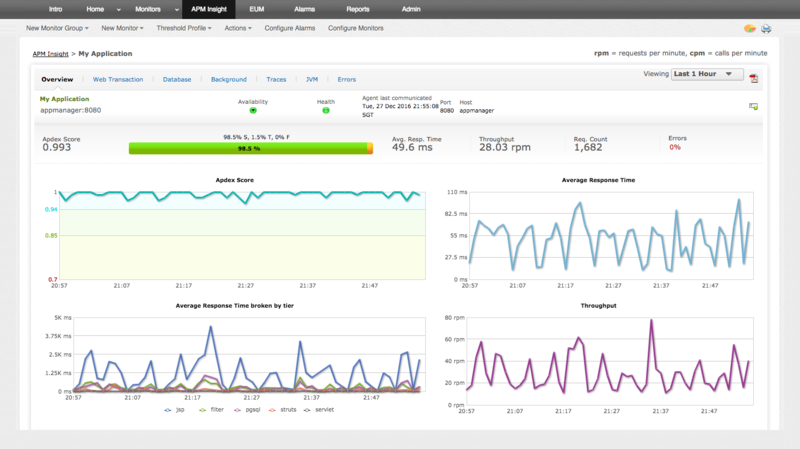 Appoptics is fully customizable, which means that you can monitor web traffic for your web servers, load times on your database servers, and pretty much anything that you would need to look at. Dates can be customized so that specific timeframes can be mapped out and captured, giving you an operational view of your server environment on your network. This product is aimed more at the webserver monitoring end of things, and as such provides a lot of web-based information relating to your website and server. The application isn’t actually an application at all, but is rather an online monitoring solution that checks the health of your webserver and website, and then relays the information back to you. In the event of an outage or server failure, alerts are sent through to you via SMS, email, Twitter, or via phone. Due to the web-based layout, users will find that the availability of information and easy to use tab based system will have them finding everything that they need in next to no time at all. Insights and stats are clear and readily available. Server health and many other pieces of information can be found within the web GUI, so if any of your online servers start to develop issues, your IT staff can stay on top of things and pre-emptively resolve issues before they become a problem. on disk space usage, memory allocations, remote applications, and more. The tools have been made available by ManageEngine, and as such are well written and work really well. These are great for system admins that need a few free tools to perform some niche operations like remote desktop support and process monitoring on remote servers. There are many different monitoring options available, from basic server device information, to hard disk space, and a handy network share browser. All of these tools are useful to a system administrator that is looking after a small site, or multiple small sites. For a free product, the overall functionality of this suite is really good. Hard disk space monitoring is really important on critical servers like file and storage servers. Even web and FTP servers need to be checked for storage space usage every once in a while, so this could be just the application for you if you have been looking for a freeware solution. Server monitoring requirements are different for each different environment. Your needs may be different if you manage a server farm, as opposed to a small business cluster of a few virtual hosts in a small company. As such, the small selection that we have taken a look at should help you to find the right solution for your needs. This list is no means exhaustive, and there are many other great products out there that offer similar functionality to some of the applications that we have looked at today. Reporting and monitoring is critical in business, especially when it comes to IT infrastructure such as network connectivity and server monitoring. Being able to look back at historical trends and faults is especially useful when troubleshooting an issue on a critical server or service, so if you don’t already have a solution in place, then it might be time to seriously consider it.